Regular followers of my blog have probably noticed that there have been no entries since my review of The Rocky Horror Picture Show just prior to Halloween. This dry spell hasn't due to lack of appropriate topics or lack of observations that I've made during that period, it is simply been lack of contemplation time that I use to mentally prepare these entries. I call such mental breaks allowing myself to pander to pondering. I really wish that was all that was going on, but it isn't. I find myself facing the same challenge that many of my generation are as we turn from being independent adults to being the person that our elder parents are turning to for support and assistance as they grow older. Without going into too many specifics, out of respect for his privacy, many of the issues facing my father are just those of someone who has reached a certain age when the body has started to transition as a result of getting older. Having spent a good deal of time with him, over several visits in the past few months, I am mentally and emotionally torn as I see his frustration when he discovers that something he was able to do routinely until now, is suddenly a challenge of dexterity or strength. I know from my own experience that living inside yourself you see time progressing differently and for some reason, you allow yourself the luxury of overlooking your own aging process until faced with the realization that years have passed. So, such realizations and failings take a great toll as you try to grasp onto those things you see as vital to your own independence. This is the same man who taught me so much in the early years of my life and was supportive of me as I transitioned into being an adult, so I share the guilt of expecting him to be the same as when I left home to pursue my own life. Capabilities and skills that he had then, have now faded away -- not possible anymore – – it is a brutal realization. 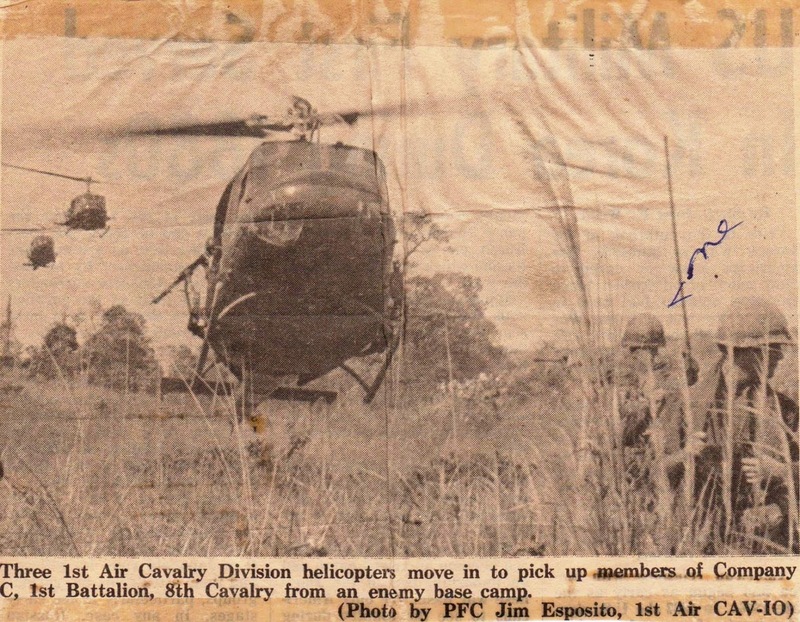 My brother once told me that he felt that his son was deprived of knowing the man that we grew up with in some ways -- our shared memory is that of a man who had led an infantry company in Vietnam and spent 20 years serving this nation in uniform. I think that some of my father's frustration at his current situation is a result of that military career, one in which he was never allowed to show any weakness or need for assistance because he was there to lead. What may be one of the most terrible gifts of this time is the realization that what you are seeing is where you were destined. In a way it is frightening and at the same time, it is this knowledge that provides some foresight to help prepare mentally for the road ahead. My grandfather on my father's side died in his 40s of a heart attack, so my father never had to go through what I am. I hope that somehow what I am learning now will be beneficial to me when I reach this point in my life -- when I am faced with these frustrations as the years catching up with me. Things appear to be at least smoothed out -- or at least smoother -- for the moment which will enable me to once again provide a weekly viewpoint and mental wanderings as I go through my own life. While I may not allow myself the luxury of dwelling too much on memories of my father as I grew up, I will allow myself to remember that my father still has a lot of great lessons to pass on. 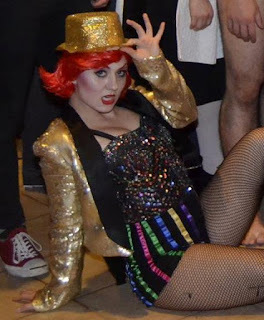 For personal reasons, last night was low-key for me so I will not be posting a regular blog entry reviewing the 21 October 2017 performance of Rocky Horror Picture Show at The State Theatre. However, I do feel that I would be remiss if I did not mention the shadow cast that performed in front of the screen during the evening. There are several ways to the view a shadow cast, from exhibitionists who have nothing better to do on a Saturday night to those who take their performance area seriously and try to genuinely add something to the on-screen experience raising it from 2D. I will say that this is the best shadow cast that I have ever seen, based on casts that I witnessed in Georgia, Missouri, and elsewhere in Michigan. 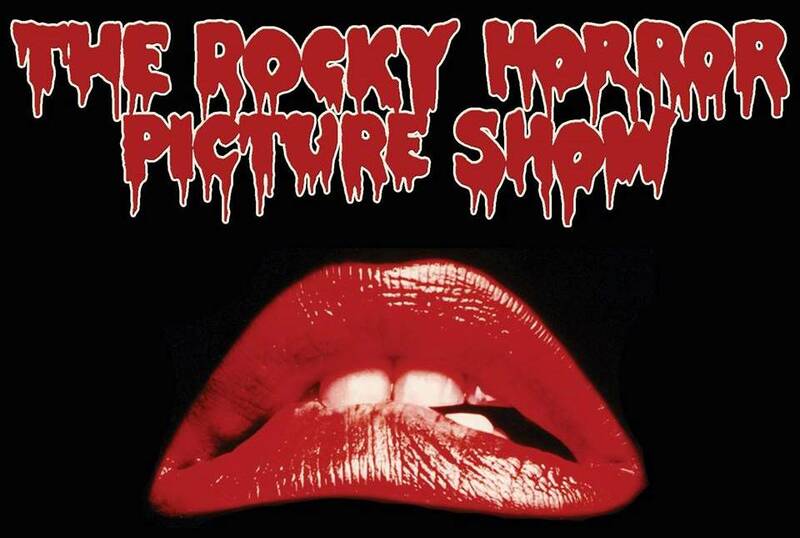 They should be proud of the effort that they made and their success in adding that unique dimension to RHPS. Well done. In an ensemble performance like the one presented by the shadow cast, it can be a disservice to point out the performance of one of the individuals without considering them all, but failure to acknowledge a truly spectacular performance would be a disservice to that one actor. In this case, that actor was the one who played Columbia -- she is more than deserving of an individual shout out. This actor was putting her entire heart and soul into her performance and never once allowed a break in the character. The hard work she put forth made watching her embodiment of the character effortless and entertaining. When someone has the talent to occupy a role down to the most minor detail, they allow the observer to cross the bridge between reality to fantasy and feel they have indeed witnessed the character they are portraying. Every expression, every bit of body language and each speech inflection lived and breathed the character. 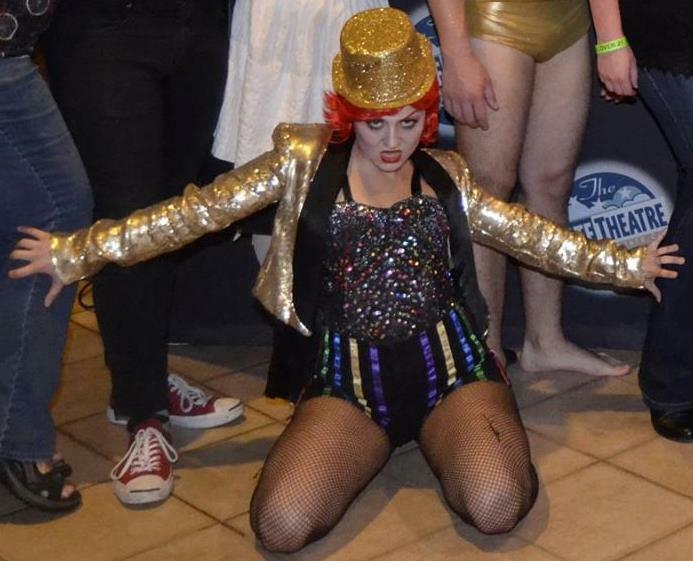 All of last night’s attendees can now say they have met Columbia. I do not recall seeing the shadow cast names provided anywhere, but I do feel that we will hear from this talented performer again because that kind of dedication to a role is the mark of someone with a level talent that will shine through every time she steps on stage. 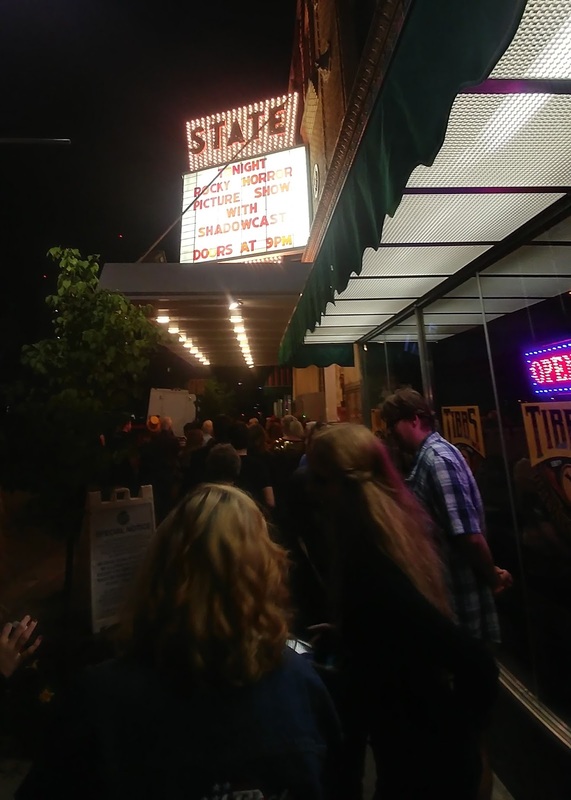 Finally much praise for the much-enjoyed and little-acknowledged part of last night’s performance -- the Kalamazoo State Theatre, the best venue in Michigan. Post Script, 31 October: I was provided with a shadow cast list but not by character -- In alphabetical order: Natalie Burdick, Patrick Hill, Katelyn Langwith, Payton McCarthy, Madison Merlanti, Dayna Palya, Will Porter, Gabriella Smurawa, Ryan Wagner. Costumes by Evan Petrow. 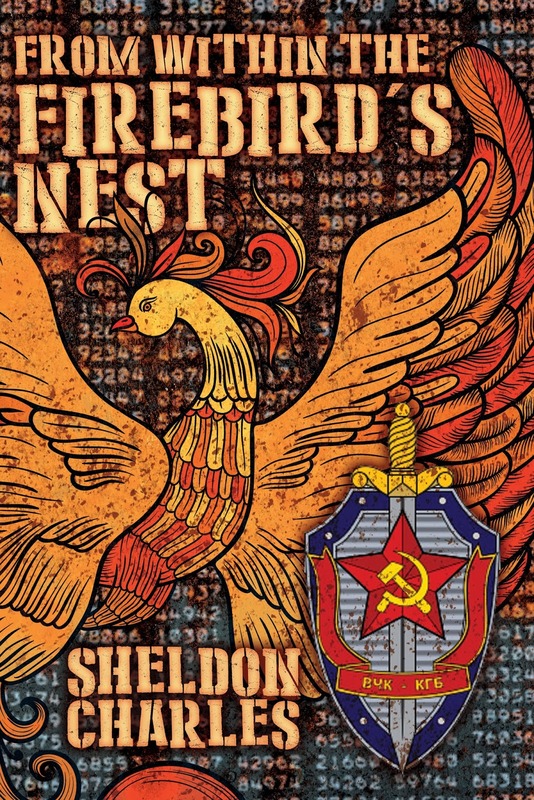 On 9 September 2017 when I released my latest book, From Within the Firebird's Nest, I braced myself. I have often said that writing a book is a solitary occupation, but the hours and days between the release of a book and the first real feedback are among the loneliest times. Honestly, you begin to rethink everything that you did in the storyline – – all of the dialogue – – and all of the characters. You have to come to the point where you can set all that aside, take a deep breath and just wait for the feedback. I am happy to say that most of the feedback thus far has been very positive to include several five-star reviews on Amazon, Barnes & Noble, and Goodreads. Along with feedback has come a variety of questions, one missive was a compliment on the book’s cover, I responded with gratitude and mentioned that I had designed it –. In fact, I not only designed this book cover but have designed the covers for all of my books and plan on continuing to do so. Whenever I tell someone that I am a novelist, I am often asked about my process. I do not see what I do as a process, but it does consist of many parts that I tend to do over and over again – – one of those parts is designing the book cover which I do fairly early on. Since my design for From Within the Firebird's Nest is still clear in my mind, I thought I would tell you about it. 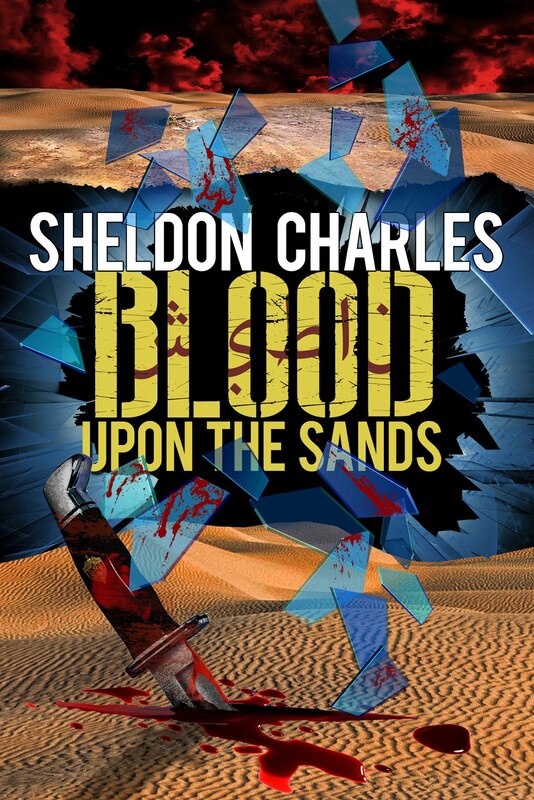 To me, the cover design is a graphic representation of the main parts or elements of the story and meant to be an abstract of where I plan on taking the reader. 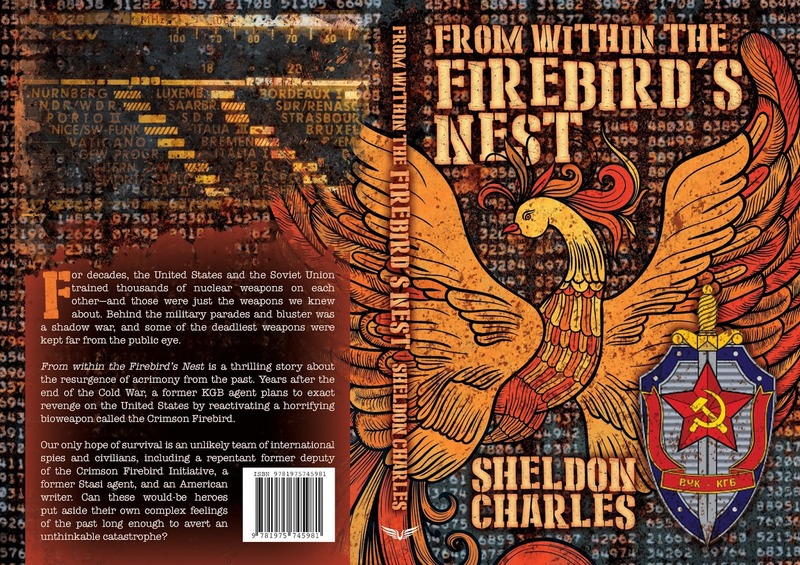 For this book, I wanted to include elements of coding, numbers stations, espionage, and of the myth of the Firebird. 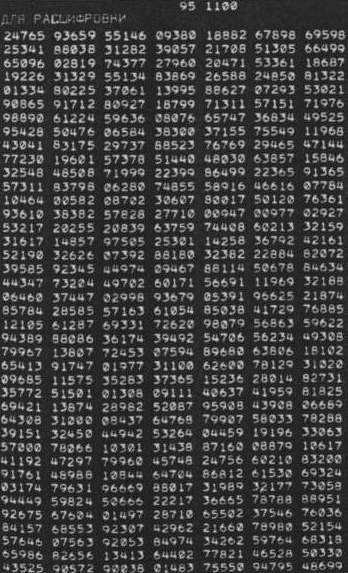 At first, I was going to make the background a collection of numbers and letters used in the book as a crypto code. However, after a bit of consideration, I thought using an actual KGB one-time sheet would be a better representation. 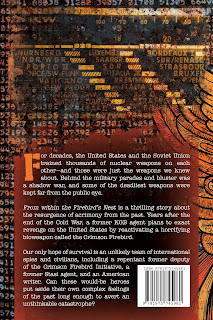 It is a piece of history that was functional during the Cold War and represents the code part of the book very well. 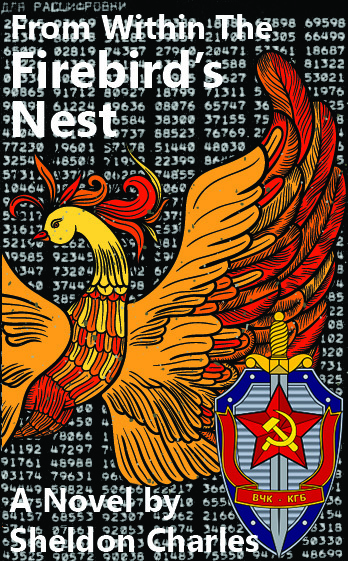 What you see in on the cover is an authentic KGB one-time sheet. 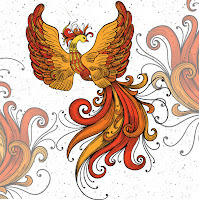 The next element I chose was the Slavic Firebird. Due to the name of the secret project in the book, the Crimson Firebird Initiative, I needed a Firebird that was also red. 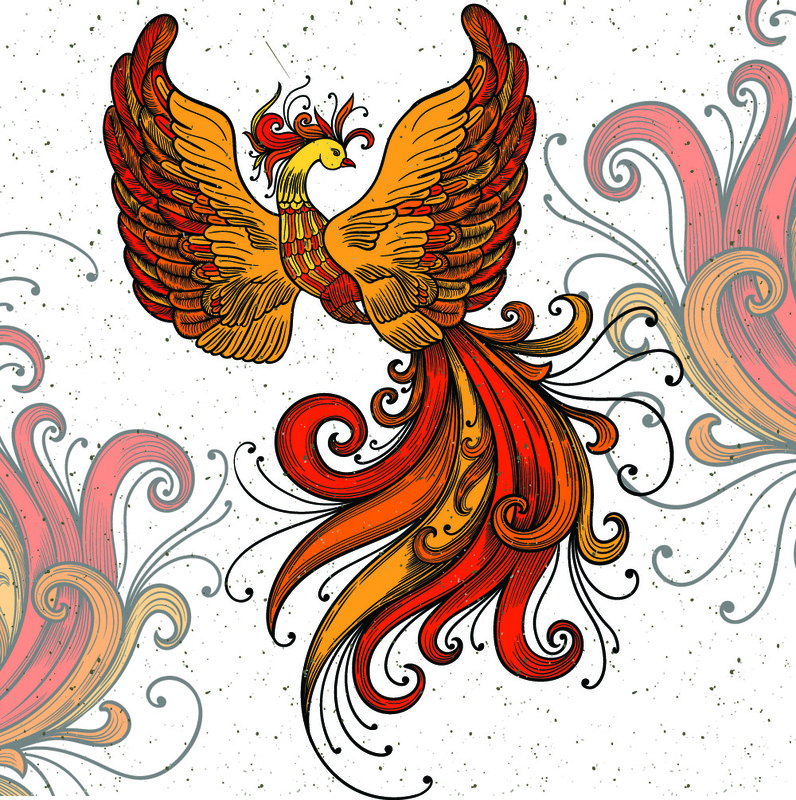 Shutterstock is an excellent resource for various artwork, and I licensed two Firebirds from the site that I thought worked very well. Eventually, I decided between them and used that one for the cover of the book. 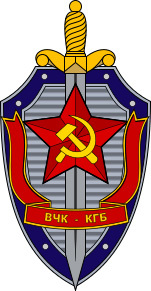 The third element that I wanted for the book was the KGB badge. I wanted a representation of the badge in use during the period when the CFI would've been developed and thanks to the Internet I was able to find one. I took these three elements and placed in a pleasing layout that also allowed me to include the book title and author name. The only real essential element from the story not represented was the numbers station. However, I realized I also had a back cover. The back cover only contains one element -- the tuning dial of a radio that included the city names of the stations. Obtaining this graphic was less involved and only required me to take a picture of the tuning dial of a Blaupunkt stereo console that I inherited which matched the one that I used in the story. 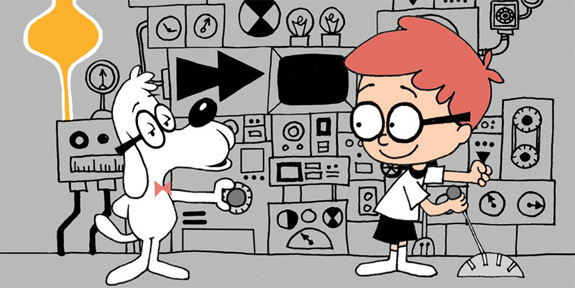 Now, the significant elements of the story were all included. For your cover design we have used the provided cover images whilst also following your inputs made within the design profile and also using your cover mock-up as guidance. We have used additional stock imagery to add more of a grungy and distressed feel to your cover images - almost as if they are rusting away upon the cover itself. We have done this as we understand your book is under the thriller category, and you also mention with referenced covers that this is a style you’d like to use. We have also used more gritty styles over the rising firebird. 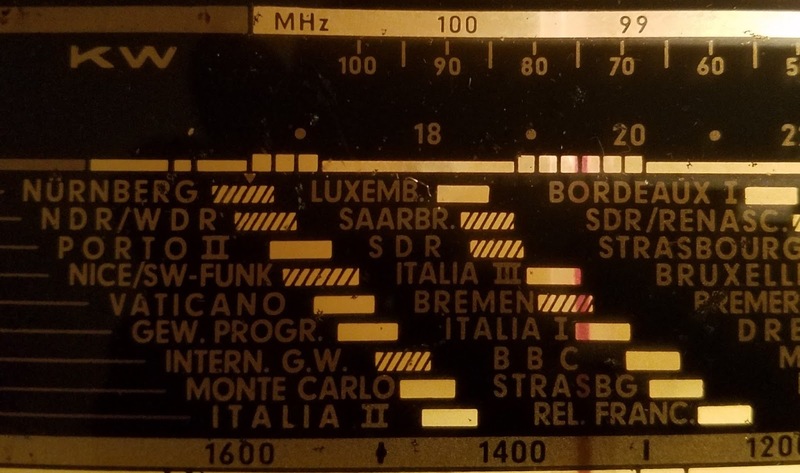 We have used the radio image at the top of the back cover, blending it into the background style so it doesn’t appear too stuck on. We have used your cover references as inspiration for typography, choosing a stencil style font which we have replaced in colours sampled from the Firebird - this brings great cohesion to the cover composition. We have also altered some of the illustration so it intertwines with the typography, as opposed to the typography covering the beautiful details. Now you know how the cover design came to be...I sincerely would not have any problem with this book being judged based on its cover because I like the final cover and think it is an excellent representation of the story presented on the pages within that cover. 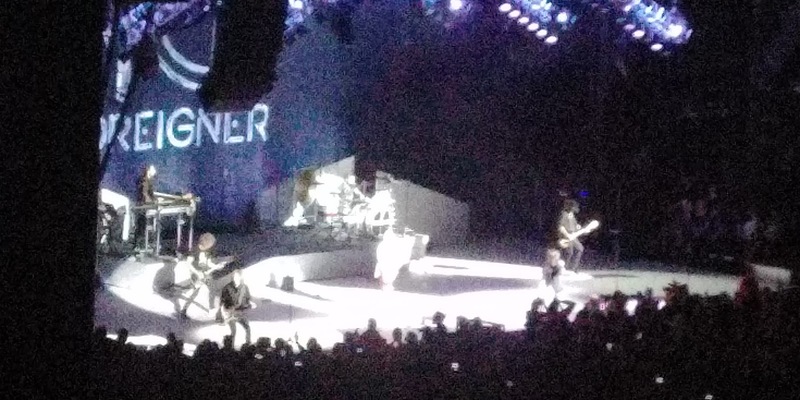 This concert was very different, in that the tickets were provided to me as a result of my being a veteran, and by someone other than the act being reviewed. Therefore, I will explain a little bit about Vet Tix before I talk about the concert itself. This show was the last for Summer 2017. It was also the best show I saw all summer. When I was in high school Edgar and Johnny Winter put out some of the best rock 'n' roll that was on the radio. I think both were underrated and I always liked the free-form bluesy feel they added to their songs. Edgar Winter was a great opening act and while he only played five songs, each of them had a significant punch. He started with Free Ride and ended with Frankenstein. From the first note to the last, there was plenty of time taken for the reinvention of each song and some really spectacular solos. 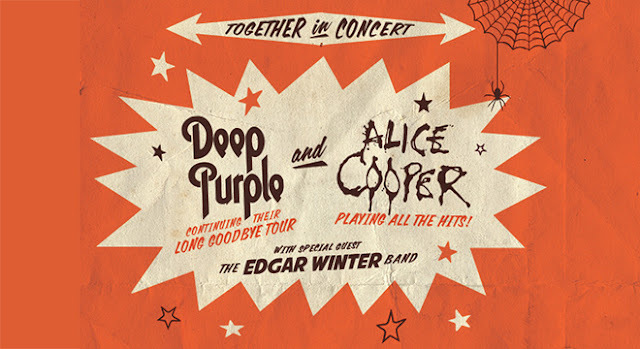 I thought Alice Cooper was the headliner for this show, given the fact that he was playing in his own hometown he rightly should have been. 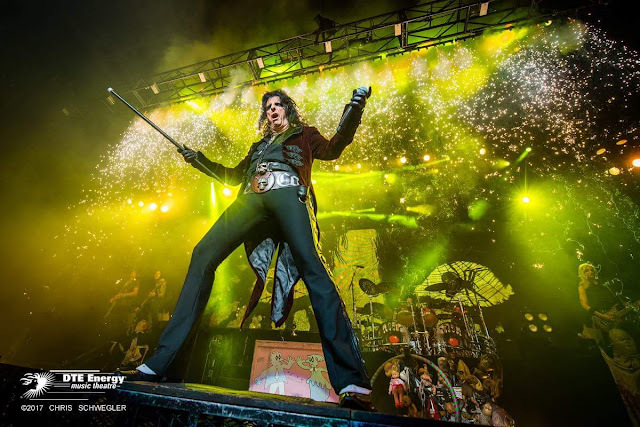 I've said it before: I was never a big Alice Cooper fan when he was really big, but having seen him twice now in concert I have become a fan. I've talked before about the way he owns an audience from the moment he walks on stage until he takes the final bow. 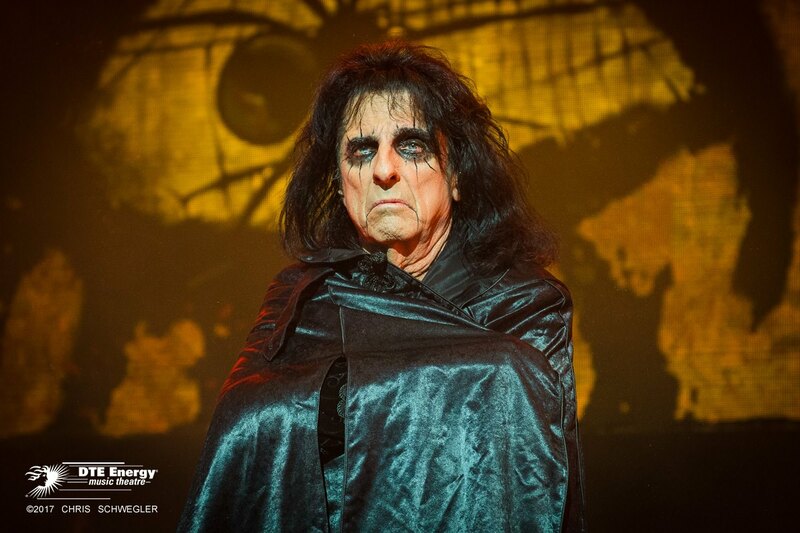 That is an absolutely true statement whether he is performing with the Hollywood Vampires or as Alice Cooper. The man is the best Showman in rock 'n' roll. 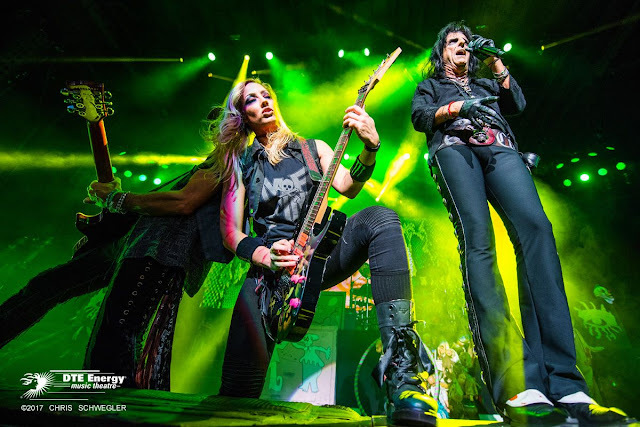 The playlist was filled with his biggest hits, including Billion Dollar Babies, Only Women Bleed, and I'm Eighteen -- all of which included the usual Alice Cooper frills of a guillotine, demonic ballerina, and an evil nurse with a large hypodermic needle. It was not just to show it was an event. 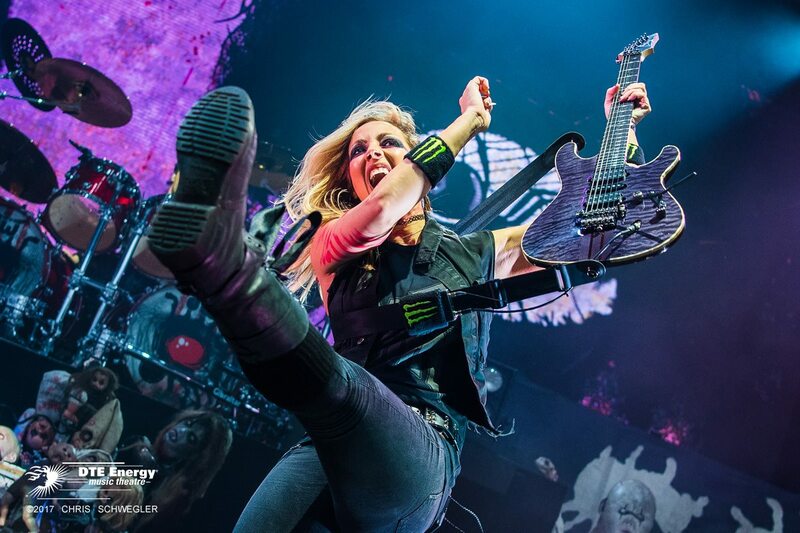 The biggest treat came at the dead center of the show when Nita Strauss, lead guitarist, played what has to be the best guitar solo I’ve ever heard. Notice that I didn't say the best female guitar solo -- it was without a doubt the best guitar solo PERIOD. 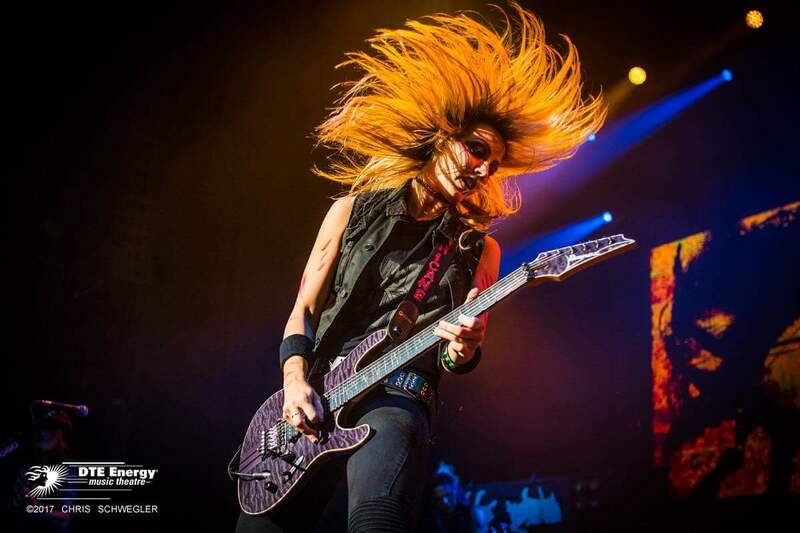 She owned every string on that instrument, every fret, and put on the best playing show I have ever seen any guitarist ever do while pumping out awesome licks and sounds that were almost otherworldly. Nita performance was overwhelming. If you look at all of my reviews from last year, you will see that for almost every band I mentioned something about the bass guitar player. 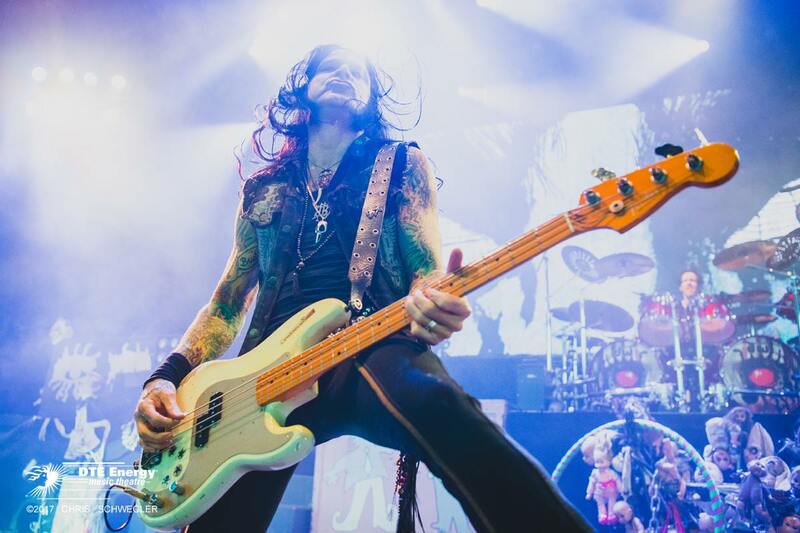 There was just a tremendous group of bassists last year who was flamboyant enough to be considered a large part of the performance beyond the part they were playing. Not so much this year, until I saw Chuck Garric. The man played great bass and beyond that, he was truly a part of the show. 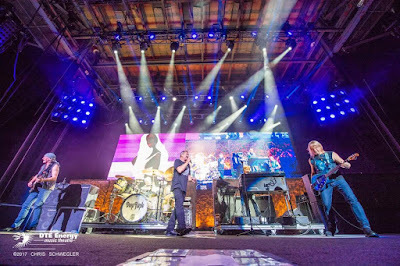 Likewise, I've mentioned many percussionists before – – but not so much this year – – until I saw and heard Glen Sobel playing in the background as well as his own drum solo. So much talent and such a treat to watch. Alice’s encore was School's Out -- and I can tell you without a doubt the man left it all on stage. Most people know only one of their songs – – Smoke on the Water. I am not claiming much of a high road, because I can only add two to the list: Hush and Space Truckin'. But, isn't that enough to make you want to listen to the rest of an album or a set? I'm glad I did, as I've added a few more songs my favorites from the band. Also, there was a terrific keyboard solo by Don Airey -- unlike many solos which have a tendency to go totally free-form his included bits and pieces from many different composers including Mozart. The band was fired up, and so was the crowd by the time they took the stage. I hate it when a band holds their best hit until the final encore though, by then many bands are out of steam and have nothing left to provide in what should be the triumphant performance of the night. But I guess that is the difference between true road veterans and amateurs. I will tell you that Deep Purple did not leave it all on stage with that final song – – they borrowed some from the next show and found tremendous energy when performing Smoke on the Water and the crowd went wild. Jason Bonham tribute to Led Zeppelin. Knowing that Jason was the son of original Led Zeppelin drummer John Bonham made me suspicious. How often have kids of someone famous never lived up to the legend that they descended from? Fortunately, this one did, and they performed a robust set of Led Zeppelin’s best stuff. Finishing with an excellent rendition of Whole Lotta Love. No question of Jason’s talent, the only question I was left with was where was D’yer Maker? 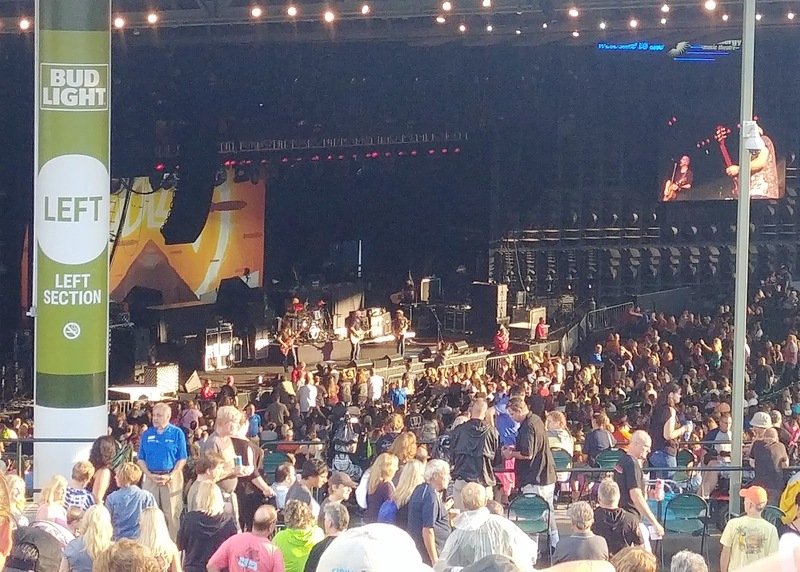 Cheap Trick provided a great performance, just like last time. 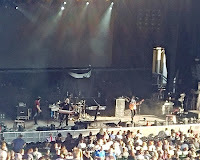 The set list was a little different, and Kevin Zander played guitar as well as sung – last time he only sang. 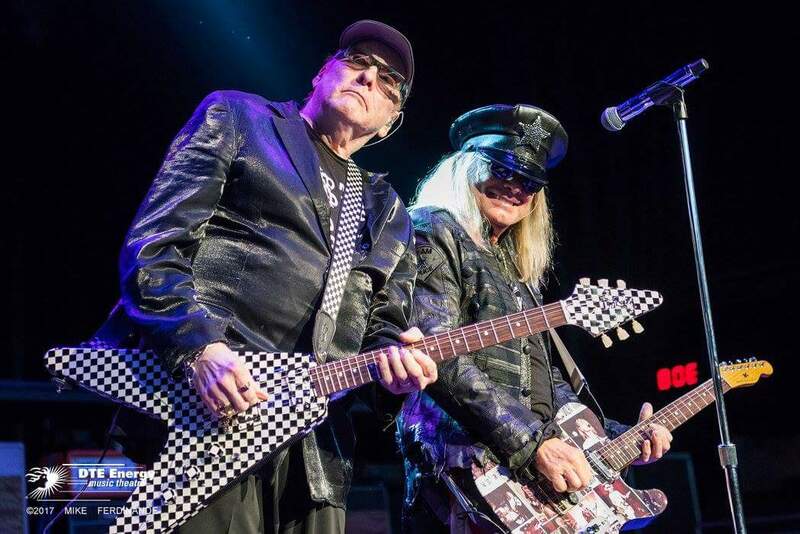 Rick Nielsen was his usual fantastic self. Flashbacks of Live at Budokan were strong. Singers are those who have the talent but are still honing their skills to be truly magnificent. They will get there with work and effort. Usually, these are no headliners but are warm up acts and those rising among the pack. Performers are those who have put in the time and effort and give you something truly entertaining and worth going to see. You leave the concert satisfied in what you saw and that it was worth the cost and effort to go see the show. Most of the shows I have seen fall into this category. Showmen are rare, and that is what makes them worth seeking out and appreciating when you do find them. They electrify the audience, the music is perfect or very close to it, and they sense the crowd and guide them through what will be a special evening. These are the concerts you talk about for years afterward. Until this concert, I had only seen two: Alice Cooper and Arnel Pineda (Journey). Both of these Showmen left it all on the stage as they poured their heart and soul into the performance. They weave their magic with every song taking the crowd up to crescendos but also being careful enough to allow the mood to calm from time to time to allow a bit of recovery before the final culmination at the end of the performance which peaks with the very last note played during the encore. 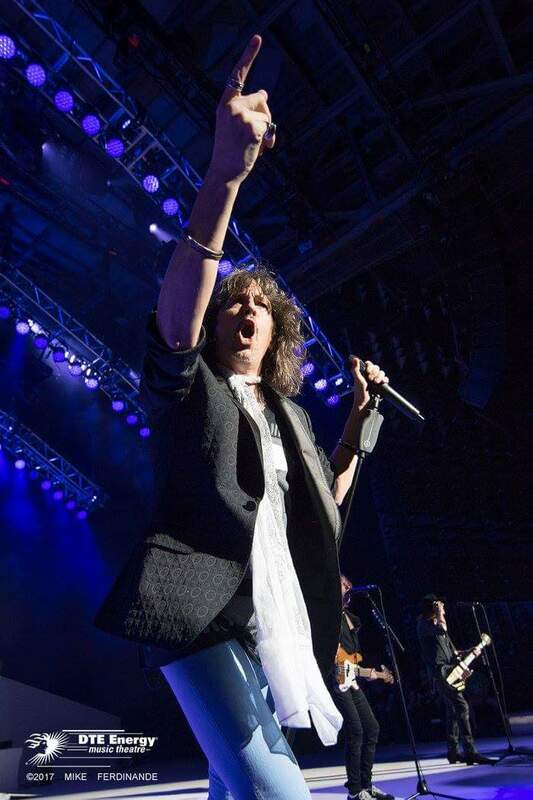 Now, I have seen a third: Kelly Hansen of Foreigner. What I saw at this show was memorable and augmented the old memories that each song held. 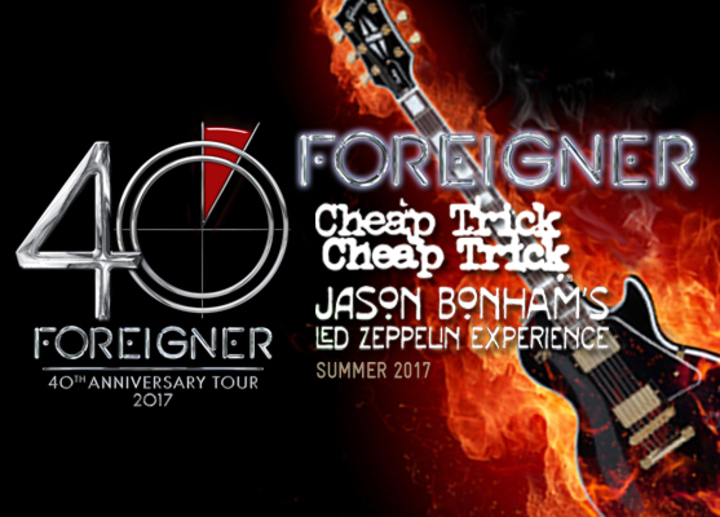 Foreigner is one of those groups where I knew and loved the songs but had not attached them all to the group. That connection is now solidly there due to this set list: Double Vision, Head Games, Cold As Ice, Waiting for a Girl Like You, Blue Morning Blue Day, Dirty White Boy, Feels Like the First Time, Urgent, Starrider, Juke Box Hero, I Want to Know What Love Is and Hot Blooded. During all of this Kelly’s energy was in overdrive as he owned the stage and took the audience on a journey through some fantastic music. 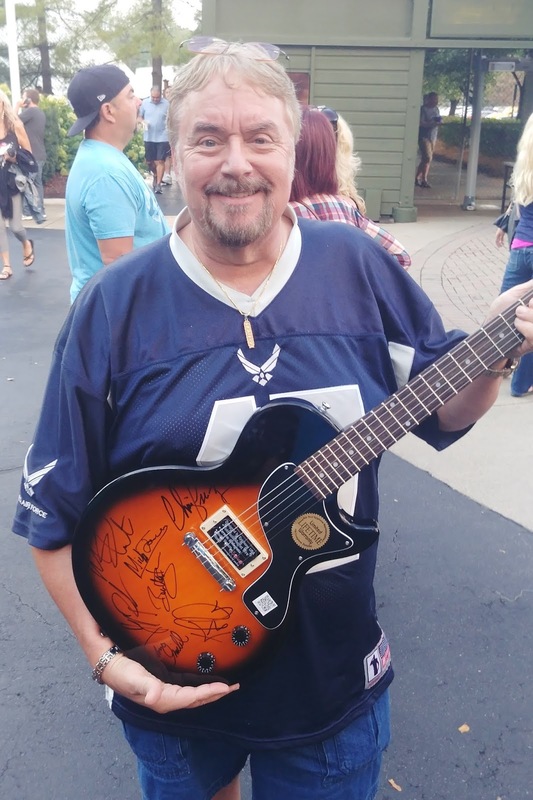 Foreigner was kind enough to donate a signed guitar to the local Shrine Club, which they auctioned off to raise money for their charitable work. I didn't win it but I did get to pose with it. 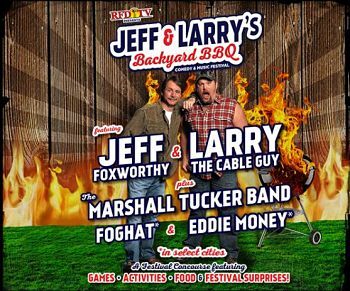 Jeff & Larry’s Backyard BBQ is a great concept. A full evening of entertainment that starts with cook out foods, yard games, music, and comedy. An MC guiding two headliner comedians, three headliner bands, and a local band. Add some dancing girls, a comedian, and a sword swallower, and you have recreated burlesque. Alas, that is not the evening we got. First there no special cook out foods, just the regular bill-o-fare always available at DTE. I would not have been upset if I had known this in advance because I would have eaten something I wanted versus all that’s available. Had pork sliders and mac and cheese from Union Mac – delicious. Yard games – walked around the venue three times and never saw anything that looked like yard games. A little after 6, Nick Hof got on stage and introduced the first band: Decibel. The band was out of Indianapolis and played some wicked covers of metal, blues, and southern rock – plus an original tune. Very enjoyable – would like to see again. Nick Hof reappeared, did a short bit of stand-up, and then brought on the next act: Foghat. 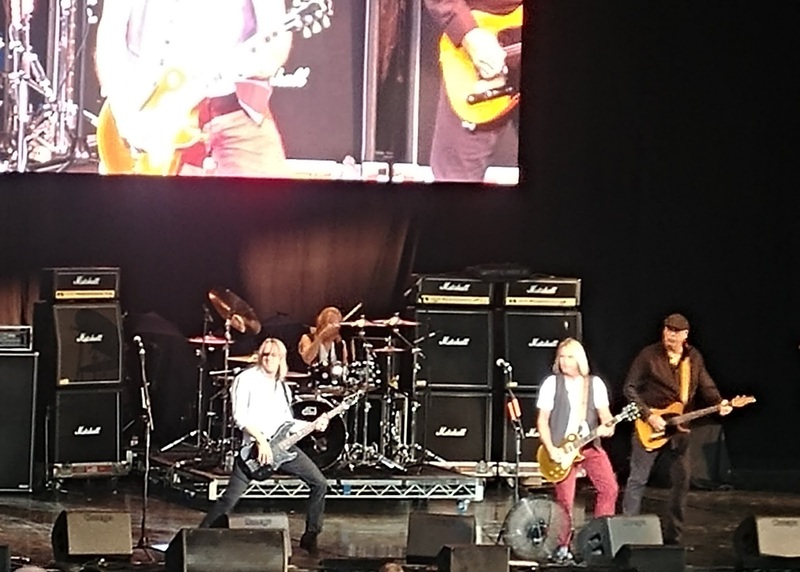 Foghat built on the mood the Decibel started playing their own style of slide guitar rock. The set included both I Just Want to Make Love to You and Slow Ride, I was happy to experience both Live. 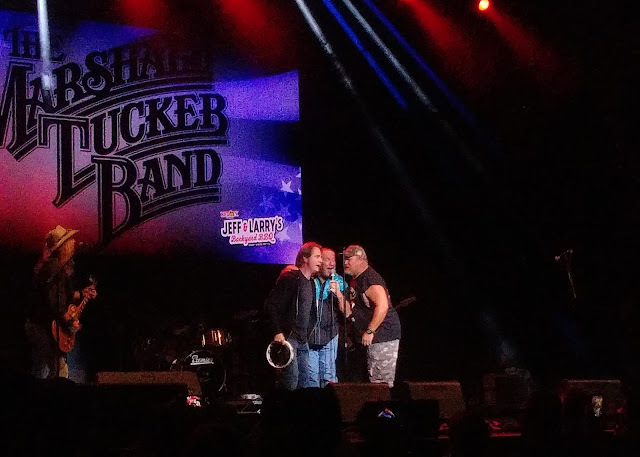 Nick did some more stand up, a long break while Marshall Tucker Band set up and then Jeff Foxworthy came out. My first time seeing Jeff live and he was terrific. Some hilarious bits and even though his first You Might Be a Redneck joke was written less than 15 miles away, he did not use the phrase once. Jeff bridged straight into Larry the Cable Guy. Larry’s act was okay, he really didn’t seem to ever get into a groove with the crowd. There were funny moments but not a real raucous set overall. 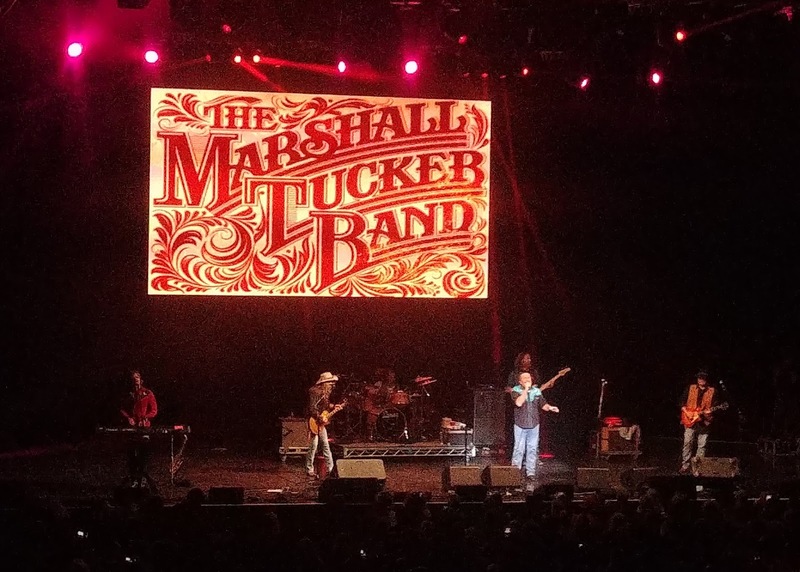 The final act of the night was the Marshall Tucker Band, on their 45th Anniversary Tour. 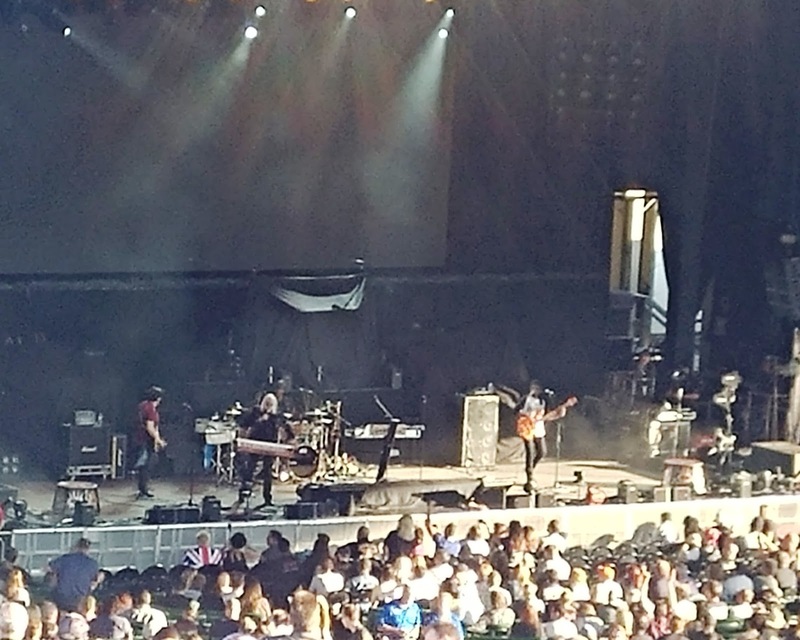 They opened with Heard It in a Love Song – one of my favorites. I knew Toy Caldwell was no longer with the band so I was not expecting the same vocals – however, I was hoping for a close experience. Doug Gray’s vocals were good but they were not the same, and it soured me on the experience – even though the band was pumping out great music. Chris Hicks and Rick Wallis were both terrific. On one song Marcus Henderson (keyboard and flute) took over vocals and did a fantastic job. Maybe Marcus should sing more. 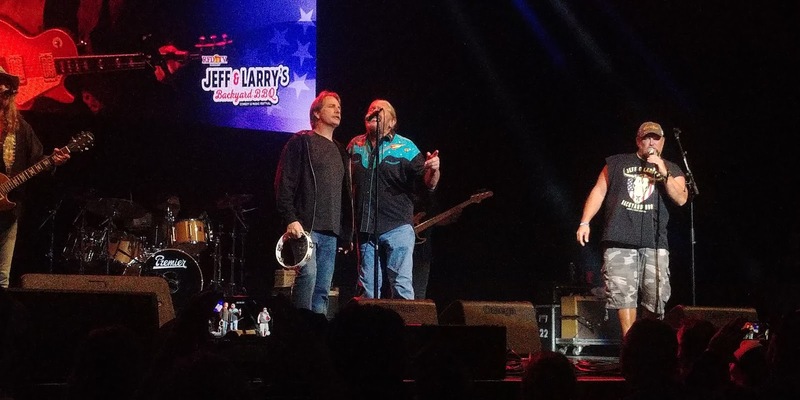 They closed with Can't You See, that was terrific and included Larry the Cable Guy on guitar and Jeff Foxworthy on tambourine and vocals. They never played Fire on the Mountain or Searchin’ for a Rainbow – both favorites of mine and songs I was surprised they didn't perform. Nick Hof deserves a lot of praise for not only doing good comedy sets but for keeping things moving and being honest about how much time there was going to be between acts. He was great as an MC. Note: Eddie Money never played – and no explanation was given. He was listed on the poster and ads for the concert. Whenever I provide a review or write up, it means that I have bought and paid for the item or admission costs myself. In the extremely rare instance when items or admission are being provided free of charge or at a discount, I say so. This site is non-monetized therefore the opinions provided are truly free of influence. The start was delayed 45 minutes without explanation. 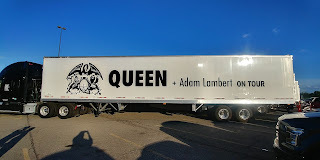 While the concert did include all songs played in previous performances of this tour, I think the delay at the very least should have been explained to the audience who were told in the pre-concert email to “Be on time there is no opening act.” We were there –they should have been too. 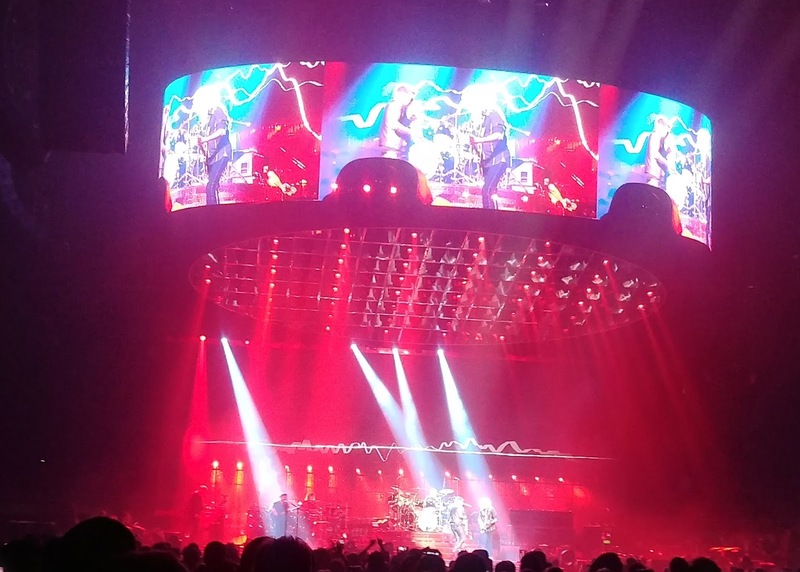 The lights dimmed, and the familiar opening notes of We Will Rock You brought the entire arena to their feet, and they remained there for the next two hours. 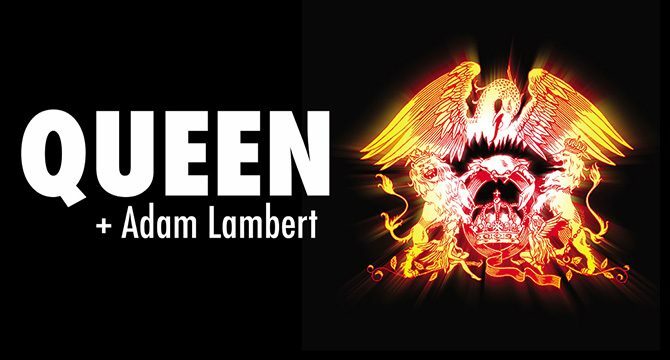 The playlist moved back and forth between new or Adam Lambert songs and older, familiar Queen hits. 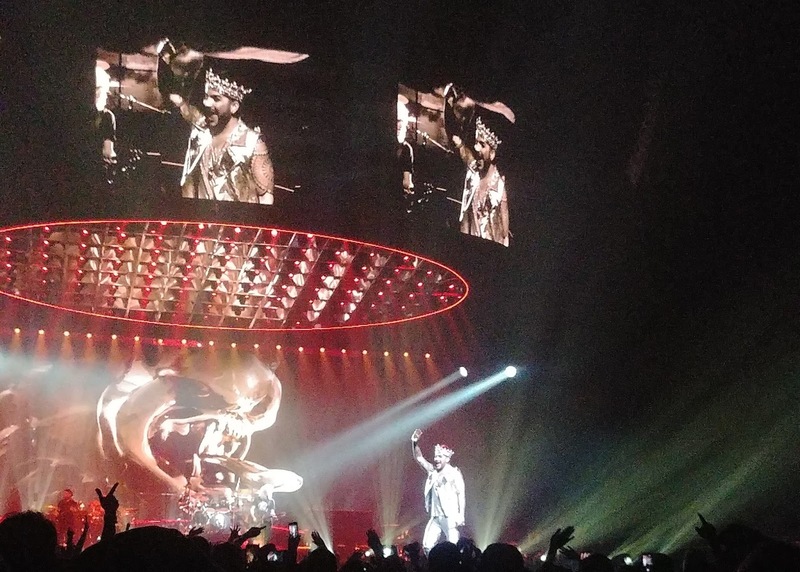 Another One Bites the Dust, Fat Bottomed Girls, and Killer Queen was presented back to back to great response. 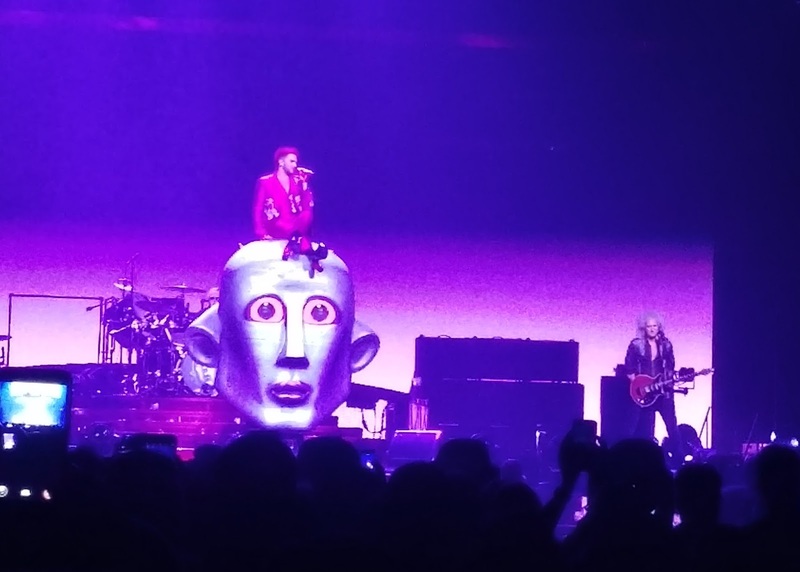 Adam had several costume changes during the show and aside from stage prancing also road a pink bicycle during one number, Bicycle Race. 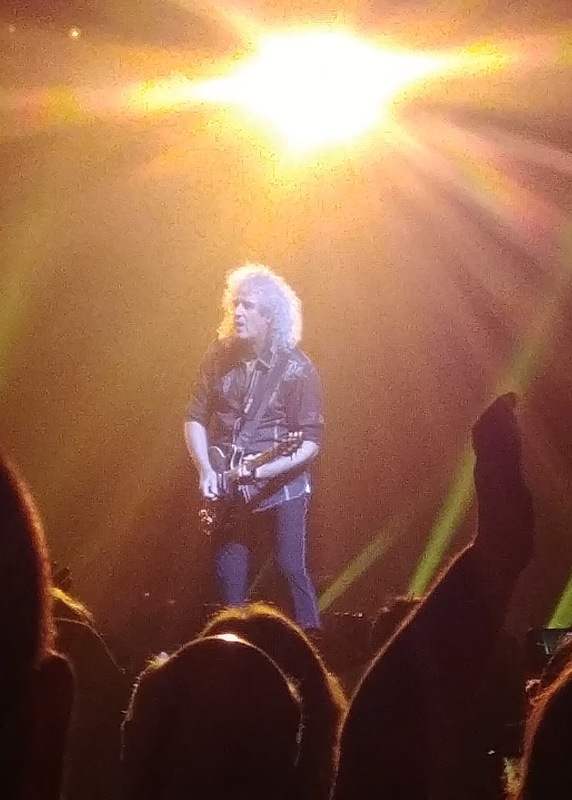 Brian May was the hottest performer of the night. 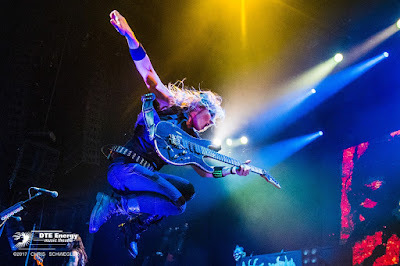 He was relaxed, in control, and having fun as he rocked with guitar solos and stand out performances during every number. Somebody to Love & Crazy Little Thing Called Love was followed by a drum battle between Roger Taylor and a drummer who was touring with them (did not hear the name). Roger backed that up by performing the Bowie part for Under Pressure. Fantastic, as was Lambert’s take on I Want to Break Free. No one can ever replace Freddie Mercury – not as a vocalist -- not as a showman. Adam Lambert put his own style and spin on many of the songs early in the concert and then settled into his role as lead singer for the band. Really enjoyed his performance of Radio Ga Ga. 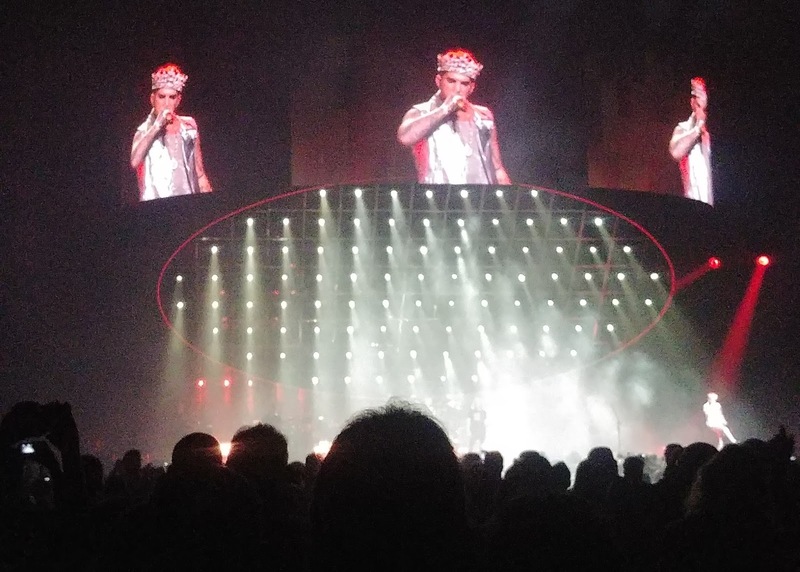 The performance of Bohemian Rhapsody was a unique mix that included the use of the 1975 music video along with outtakes for Mercury's original vocals mixed into the live performance. A wonderful way to include the history of the song and the band within the performance. The encore was a rousing performance of We Will Rock You & We Are the Champions. I walked out feeling energized and satisfied. People change – sometimes by taking a different path and sometimes by departing entirely. Because of this, rock bands evolve over time. It doesn't mean the group no longer exists or has suddenly become a tribute band instead, it just means that the band has developed into its next iteration. After all, if the Beatles had never evolved, it would have been John, Paul, George, Pete & Stu. My own opinion about band evolution changed as more and more of the bands I listened to and enjoyed were forced to make changes in their line ups. I have never seen Steve Perry live, but I have seen Journey. Arnel Pineda was fronting the band when I saw them, and he was excellent. His vocals were powerful and genuine to the music -- and no it was not note for note, but that is why you go to a live performance to participate in the differences that occur when the band and crowd enjoy a synergy -- when the music becomes something more than notes on a page. I will never see David Ruffin or Eddie Hendricks either, but the Temptations are still pumping out a high-level performance of their best music. In this case, only one original member remains, Otis Williams, but even with an 80% replacement of members, the Temp’s spirit lives on. Sometimes, a band is lucky enough to have a younger brother to replace a lead singer, as was the case with Lynyrd Skynyrd. It doesn’t guarantee the same level of performance but you start with a good base of similarities that aids in the evolution. 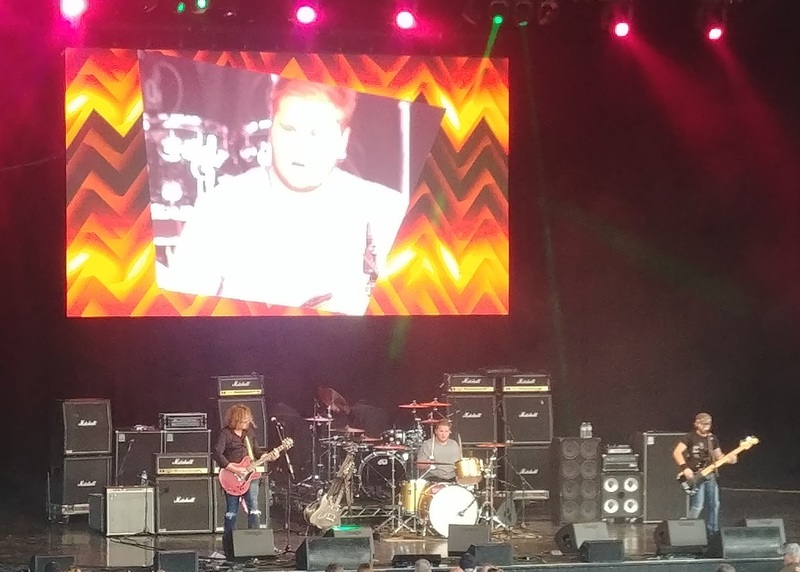 Considering they have also had to replace guitarist Allen Collins and bassist Larry Junstrom over the years, the band maintains a remarkably authentic sound and live performance ethos. The one group that chose to downsize versus replace as their evolution was America. Dan Peek was an excellent musician but was not something so extraordinary that he could not be replaced – and yes, his absence in the trio was sorely felt by the band and the audience. So, do you buy the tickets when you know one or more of the members of the band are not the original folks? Hell yes. Think of it as the 2.0 version of the band, the basics are still there and can be recognized. Sometimes it is better, sometimes not – you ever know until you try. The Place of Auburn Hills is quickly becoming my favorite large venue. Easy in and out, the staff is friendly and helpful, and the prices (while including the normal markups) were not too outrageous. The only wrinkle I encountered was when I left my seat to go to the bathroom. Upon re-entering the main hall, I was confronted by a staff member wanting to see my ticket. No problem there – I produced the ticket, and while she checked it, I took out my phone and took a few pix from the different vantage point. She then informed me I couldn’t stand there as it was a walkway—Okay – but you stopped me there, and I was still waiting for my ticket to be returned. If not blocking the passage was the point, she should’ve been positioned elsewhere – feel free to verify my ticket but don’t let it ruffle your feathers if I make use of the time while you figure out that I paid to be there. The initial draft of my novel is finished and now rests with the Editor for her to do her job. At this point, I am kind of confused. Not sure if I'm writing this as a break from my day job or if this is my day job and writing my novel was my hobby. Either way, I'm glad to say that after six months of diligent work, the book is finished and a tale that has been playing around in my head for five years is at last on paper -- or sitting in the cloud waiting for publishing.-- and readers. The most abrupt change that happened from the way I visualized it, to the way it was finished, was the title of the book. Originally I called it Allah's Numbers, a totally appropriate title due to the subject matter – – you can find that out when you read it. 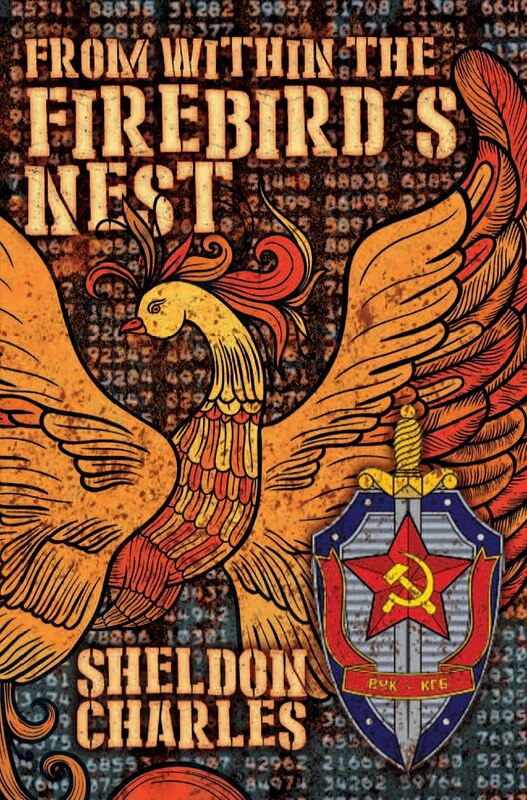 After much thought, I shifted that title to From within the Firebird's Nest – – also totally appropriate. For what it's worth, the shift had nothing to do with outside influences – – but what I felt in rereading the entire book during my final edit of the work. I think that titles are important, for one reason only – – to get someone to read what is written underneath it. I talked all about that in my blog entry entitled PJ O'Rourke Taught Me How to Drive Fast While Getting My Wing-Wang Squeezed and Not Spill My Drink, if you're curious, read it for yourself -- I will apologize here for again using the words Wing-Wang in this blog after saying I wouldn't. Anyway, I should have the final edits back from the Editor, in about three weeks or so, and then if there are no major rewrites needed it goes to press. I am excited and at the same time exhausted from what I've just finished doing. Wars are won or lost, but if the loser can still strike back from the ashes of defeat, it is never truly over. Sergei Kirill Mikhailov, a former KGB Strategic Intelligence Director, has had one goal since his fall from power during the Soviet breakup – revenge on the West. 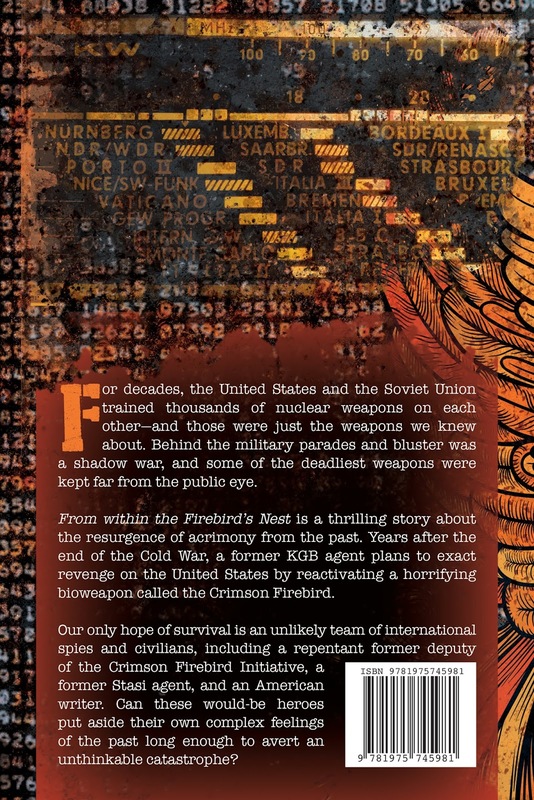 Unlike many who are armed with similar hatred, Sergei is armed with much more thanks to the Crimson Firebird Initiative, a program with a catastrophic goal he conceived and launched while he was in power. Now the time has come for him to take advantage of that tool and to use a young, confused Arab computer wizard to launch the attack which will redirect any retaliation from the West towards the young man’s organization instead of Sergei’s beloved motherland. 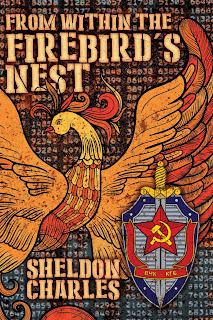 Meanwhile Sergei’s deputy in the program, Fyodor Ilyich Maldroski, aware that his former boss is setting events in motion enlists a friend and former Stasi officer to defang the Crimson Firebird, but time is running out. 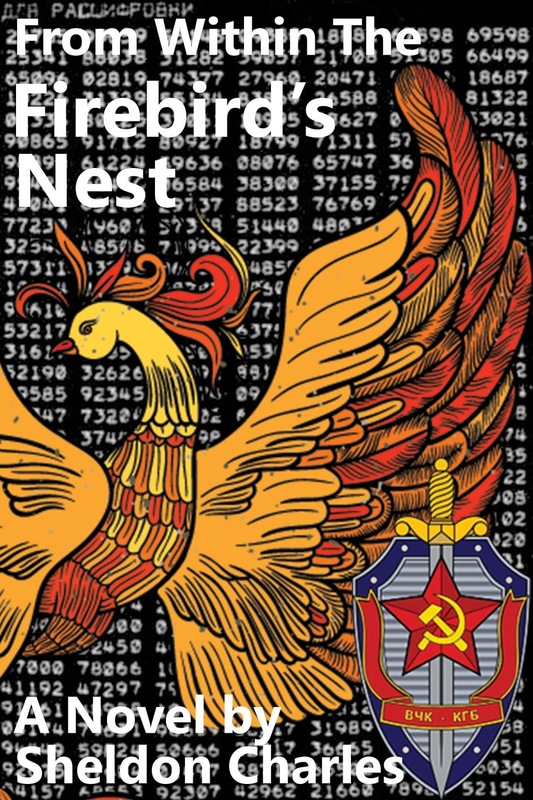 Enlisting the help of an American writer and Fyodor’s son they must all work together to prevent the Initiative from being triggered while working against a host of foes that are still lurking in the dark decades after the Cold War has ended. Standing guardian angel over this group of heroes is Nikki Grey, an intelligent and beautiful Mossad operative who has found herself falling in love with the American, Evan Davis. A riveting tale that starts during World War II and is still playing itself out today, because wars never truly end. Please consider this an invitation to read the book as soon as it is released -- It also makes a great Birthday, Graduation, Wedding, Bar Mitzvah, Bachelor Party, Just Because It's Thursday -- gift for all your friends, family, and anyone else you may or may not know. ... and speaking of reunions -- Nah -- that's next week. This is the fourth week of reruns and with it the happy announcement that the first draft of Allah's Numbers was finished at 1:30 AM last Friday. It took 600 pages to tell the story and now comes the arduous task of editing it before it is sent on to a real editor on Friday. Today there will not be a regular weekly blog post. 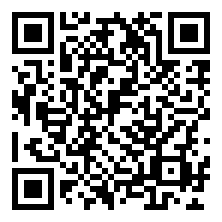 Instead, I am providing a link to a Best of the Blog entry. This time, it is my thoughts about the Deep South, in honor of a recent trip to visit my Dad. But coming soon -- My first stay at an Airbnb; after the stay, there were rave reviews – for MacBeth. So, join me in the Way Back Machine and hope you enjoy my thoughts about the Deep South.